Cauliflower is everywhere! And I couldn’t be happier. Just like its Brussel Sprout brother, it was long ignored for being bland and boring, especially when boiled. And now it has really become a way to feature flavor and texture, without spending a lot. Oh the ways to do Cauliflower…I like it best when roasted or when paired with a lovely sauce, like the cauliflower with tahini, labne chili and mint at Ilili in NYC. 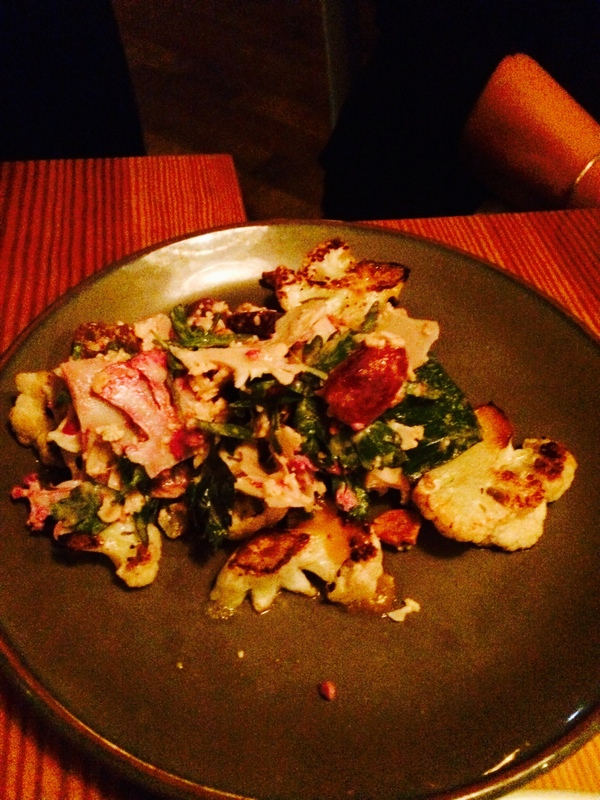 It was also my favorite dish at a recent dinner at Girl and the Goat in Chicago. 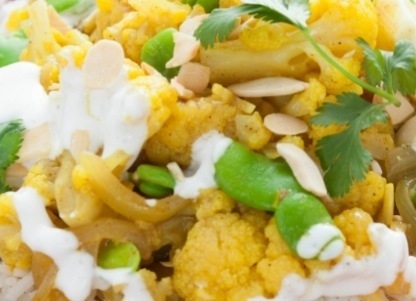 Indian-style “gobi” is great too, as it really absorbs the flavor of all the spices. 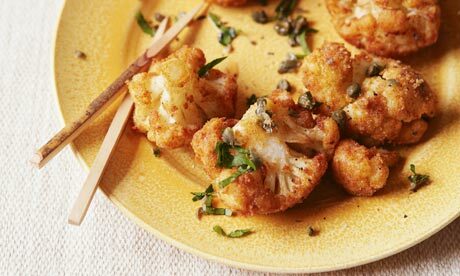 If you haven’t picked cauliflower at your latest dinner, you are missing out. So definitely give this re-emerging food trend a seat at your table, it’s totally worth it!